At Auth0, we believe in growth by using technology and product innovation to drive a world-class user experience. We believe identity is more than a login box. 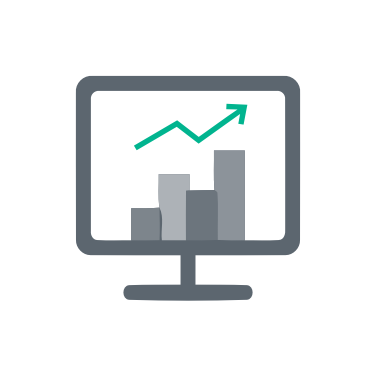 We can help you grow and drive new revenue by securely acquiring more customers, and driving more conversions and upsells using identity data and analytics. We got tired of the friction caused by complex identity environments, so we’ve built a zero-friction, enterprise-class solution that makes modern identity easy. Easy for your customers. Easy for your developers. Typing in a username and password may have worked in the past, but has significant drawbacks today. Modern identity means giving your users the easy, secure experience they demand while giving you the consumer data needed to drive conversions and revenue. Social connections give users access with a single click and you the data to provide a personalized, high conversion experience. Social Data: Learn about your users’ interests, likes and friends. Profile Enhancement: Enhance user profiles by calling external APIs using Auth0 rules. Progressive Profiling:Gradually collect data from your users. Behavioral Profiling: Understand your users’ behavior by recording their actions in their user profile. Account Linking: Connect multiple social profiles of your users to get the full picture. Try it now - click the highlighted code to choose different options, then try logging in or signing up on the phone screen to see how easy Auth0 is for both users and developers. How did Marks & Spencer engage over 1.5 million people in a viral, wildly popular holiday game? Auth0 authentication scalability, of course! Auth0 is SOC 2 Type II certified – an independent auditor has evaluated our product, infrastructure, and policies, and certifies that Auth0 complies with their stringent requirements. Auth0 offers HIPAA BAA agreements to companies in the healthcare industry that must comply with HIPAA regulations for safeguarding patient privacy and sensitive health information. Auth0 conforms to the OpenID Connect protocol, and our products are certified by the OpenID Foundation, of which we are active members. We strive to use open standards and specifications to deliver excellent interoperability for our customers. Auth0 helped in defining the protocol and are sponsoring OpenID Connect. Auth0 conforms with the brand-new EU-US Privacy Shield Framework for regulating privacy in data flows between the European Union and the United States. This Framework replaces the EU-US Safe Harbor Framework repudiated in 2015. Auth0 is a team of developers that got tired of the friction caused by complex identity environments. By using Auth0, development teams gain business focus. Marketing teams gain consumer data. Your customers gain ease of use. You can also integrate new identity providers instantly, enable the latest best practices like multifactor authentication and provide security services like breached password detection. We’d love to share our practices for modern identity with your team in a 60 minute virtual workshop. Even better: we’ll buy pizza for the team to enjoy while they learn. Schedule an Auth0 Pizza Workshop. Or email us at pizza@auth0.com.